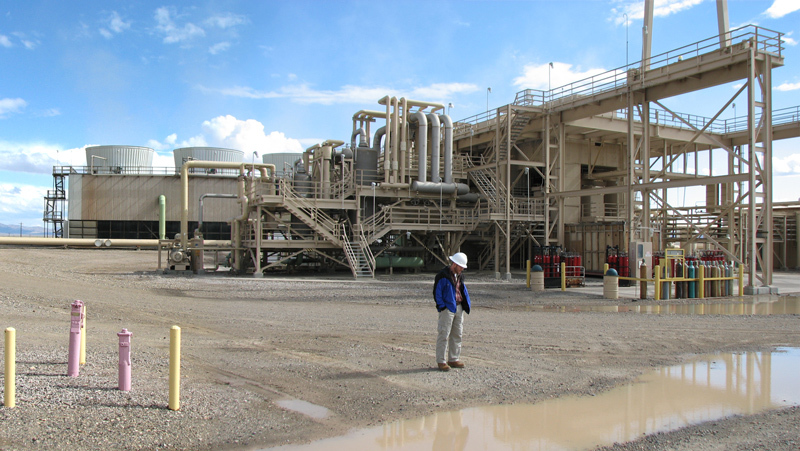 The new Terra Gen 6.6 megawatt binary geothermal plant is located adjacent to the existing geothermal power generation facility built in the mid 1980s. Benham provided multidiscipline engineering-procurement-construction (EPC), DesignBuildSM project delivery, and commissioning services. The fuel source for the new facility is spent brine discharged from the existing facility. 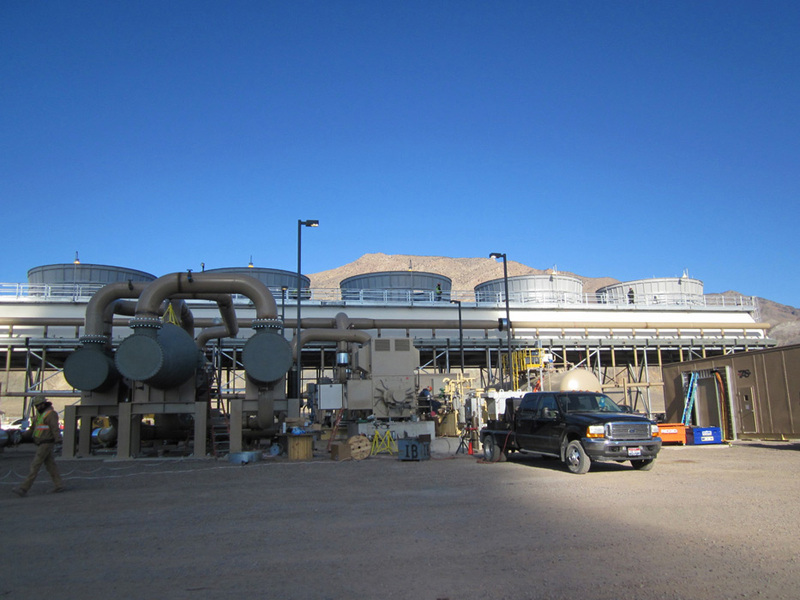 The spent brine has unused heating value, providing an opportunity for this heat to be converted to energy without the need for increased fuel (brine) cost. The heat supplied by the brine is sufficient to heat the refrigerant to the subcritical state for maximum efficiency. 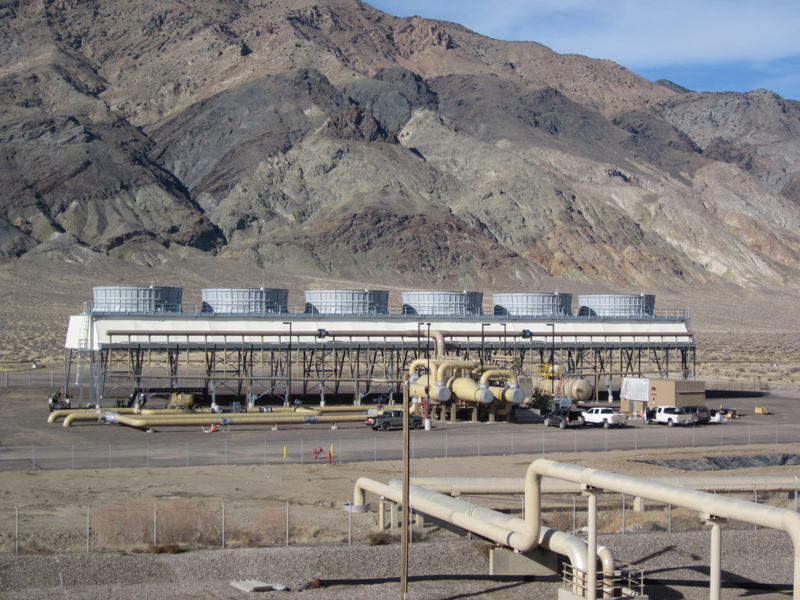 After much of the available heat energy has been transferred to the refrigerant, the brine is re-injected into the geothermal reservoir without otherwise changing its characteristics. This provides the customer a cost-effective opportunity to add capacity to the existing facility operations. A major Benham contribution to the project was enabling the customer to proceed with project financing in a timely manner. During debt syndication for the project the customer was notified that lenders would require a financially strong, experienced third-party EPC contractor be engaged to execute the work. At the request of the customer, Benham negotiated a lender-acceptable EPC contract in less than one week. The quick response and industry knowledge demonstrated by Benham allowed the project financial closing to proceed on schedule.